134 Conduit Street, ANNAPOLIS, MD 21401 (#1001903912) :: Eng Garcia Grant & Co. 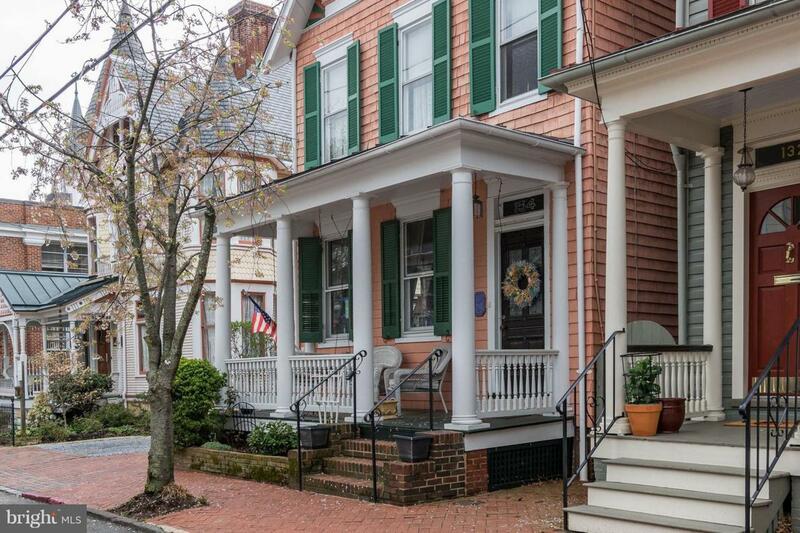 STUNNING DOWNTOWN ANNAPOLIS HISTORICAL RESTORATION, WITH PRIVATE DRIVEWAY PARKING RIGHT IN THE HEART OF DOWNTOWN! APPROXIMATLY 3100 SQUARE FEET IN KEEPING ORIGINAL FEATURES INCLUDING 9+ FOOT CEILINGS, TRAY CEILINGS, TIN CEILINGS, MOLDINGS, TWO STAIRCASES AND BUILT-INS. DOUBLE SIDED GAS FIREPLACE, MARBLE COUNTER TOPS, AN OPEN FLOOR PLAN KITCHEN & GREAT ROOM! LUXURIOUS, RARE LARGE MASTER BEDROOM WITH SITTING ROOM, LARGE RENOVATED MASTER BATHROOM WITH HEATED FLOORING. HOME FEATURES FRONT PORCH, BACK LARGE SCREENED PORCH, AND PRIVATE GARDEN COURTYARD RETREAT! PLEASE NOTE THAT THERE IS NO SALE SIGN ON THE PROPERTY.